Gail Straub is the Executive Director of the Empowerment Institute, which she co-founded in 1981. As one of the world’s leading authorities on women’s empowerment, she co-directs the Empowerment Institute’s School for Transformative Social Change empowering change agents from around the world to design and implement cutting-edge social innovations. As part of this focus, she co-founded IMAGINE: A Global Initiative for the Empowerment of Women to help women heal from violence, build strong lives, and contribute to their community. IMAGINE initiatives are currently under way throughout Africa, Afghanistan, India, and the Middle East. Gail has consulted to many organizations furthering women’s empowerment including the Chinese Women’s Federation, Women for Women International, World Pulse, and the Omega Women’s Leadership Center. 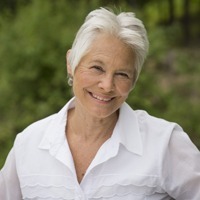 Gail is the author of five books including, with her husband David Gershon, the best-selling Empowerment: The Art of Creating Your Life As You Want It which has been translated into over 14 languages, the critically acclaimed The Rhythm of Compassion, and the award-winning feminist memoir Returning to My Mother’s House. She lives in the Hudson River Valley in New York.